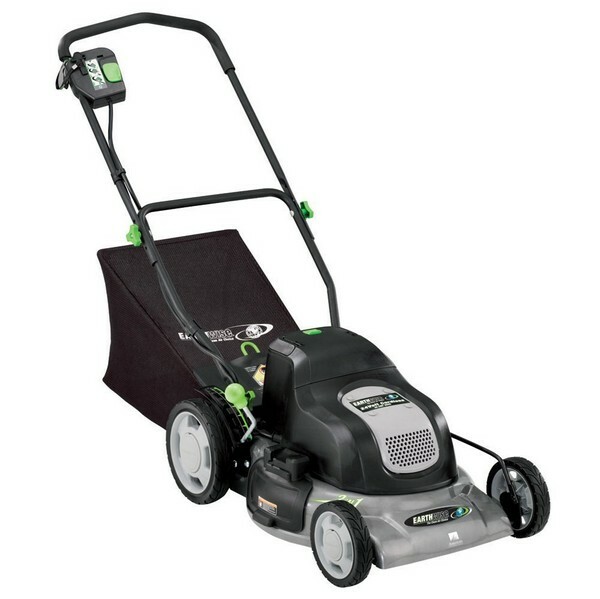 Why purchase an electric lawnmower? A gas lawn mower requires gas and oil plus huge maintenance. It is also harmful to the environment due to its emissions and it’s very noisy too! Thanks to modern technology, we now have electric lawn mowers which can help us in cutting those grass. The most important consideration when choosing a lawn mower is the size of your lawn. Compare your yard to a tennis court. A whole tennis court is equivalent to a medium-sized yard while half of it is a small yard. If you have a small yard then it is best to use an electric mower or a hand push mower. Whereas, medium and large sized lawns require petrol or a cordless electric mower. If the power cable is long enough then you can use a corded electric mower. You should also consider its portability and the effort it takes to operate it. If you use a hand push mower, you’ll have to do a lot of work. A corded electric mower is much better for a medium sized lawn. If you don’t want to worry about how far the cable will reach then choose the cordless electric mowers. However, the most powerful ones are petrol mowers but they tend to be heavier also. The EGO LM2102SP Cordless Lawn Mower is a great substitute to traditional gas-powered lawn mowers. Since it is an electric mower then gas or oil is not needed anymore. Spills and unsafe fumes will also be prevented. 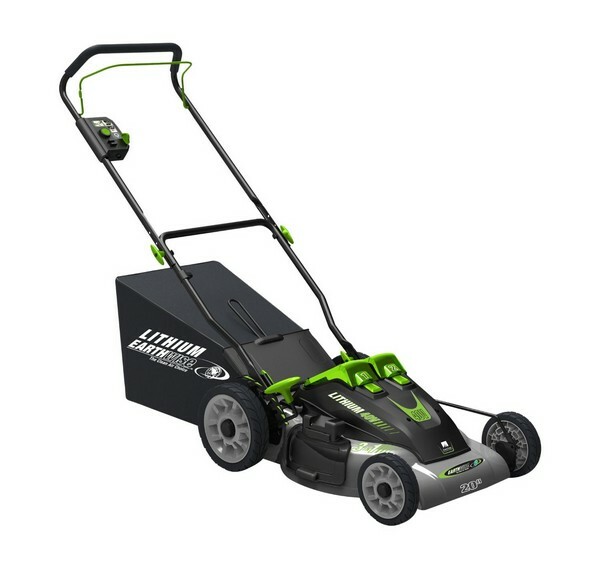 It is our pick for the best electric lawn mower since it performs just like a gas powered lawn mower. It is very efficient in cutting tough grass easily. Pros: Recharging the battery takes only 40 minutes. Cons: There is no information about their service center location. 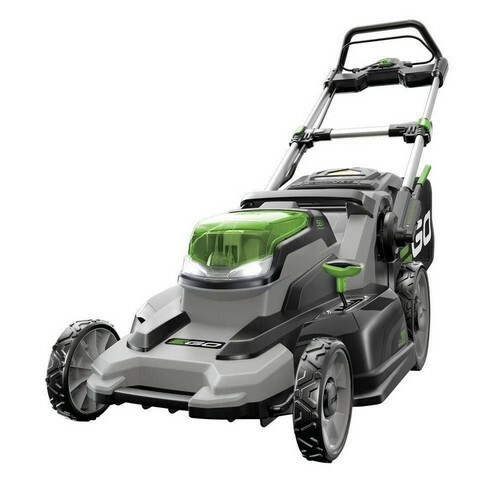 The EGO LM2102SP Cordless Lawn Mower is an impressive mower that has a quick recharging time and is covered by a five-year warranty, making it one of the top electric lawn mowers. 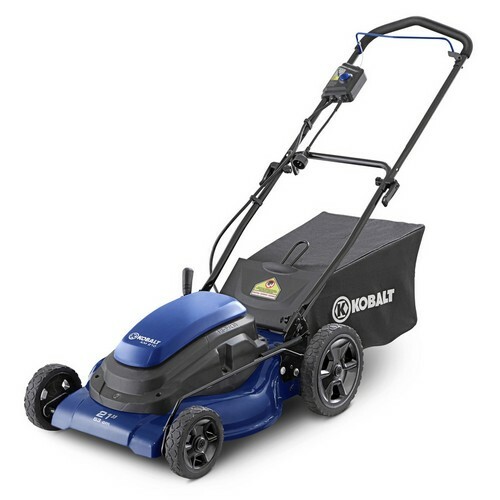 Kobalt 13 Amp Electric Lawn Mower is a vigorous and adept electric lawn mower that can provide you with a neat trim. Maneuvering does not take too much effort compared to gas-powered lawn mowers. Aside from being a clean-energy alternative to your gas-powered lawn mower, it also offers a five-year warranty. That is why we choose this as our second best electric lawn mower. Pros: It features an automatic switchover system that permits you to continue mowing your lawn without needing to halt and alter batteries. Cons: The 2-amp battery quickly runs out of power compared to the 4-amp battery. The Kobalt 13 Amp Electric Lawn Mower is best for mowing medium sized flat yards. 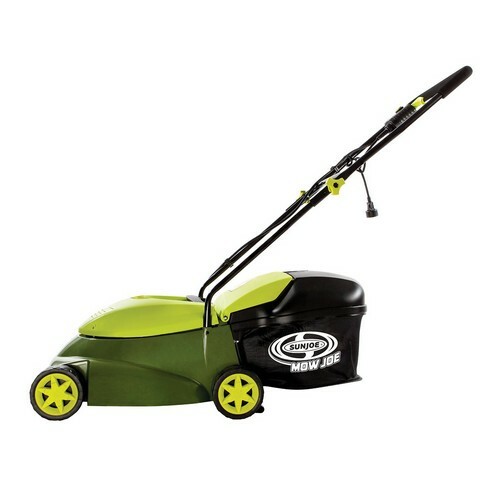 GreenWorks G-MAX is a cordless lawn mower which resembles a racecar because of its huge wheels and angled structure. It may look colossal, however, it’s very easy to maneuver. It is made of a sturdy polymer which can take a beating. It is environment-friendly since it does not generate emissions. You can easily mow your lawn without being tied down to an electric cable. Pros: It comes with two batteries. When fully charged, it can be used up to 70 minutes. Cons: This is not a self-propelled mower, thus, it’s hard to push on steeper areas or hills. The GreenWorks G-MAX Cordless Lawn Mower works best if you have mid-sized or large-sized flat lawns. The Ryobi 16-inch Cordless Mower is lightweight and very easy to maneuver. It does not discharge any damaging emissions, unlike gas-powered lawn mowers. Aside from mowing, you might also want to chop tree branches and bushes. The greatest thing about this mower is that it consists of interchangeable batteries that can also be used by other Ryobi lawn equipment. Pros: This mower incorporates two rechargeable batteries which can be used for other Ryobi battery-operated lawn equipment. Cons: Unfortunately, this is not a self-propelled mower. 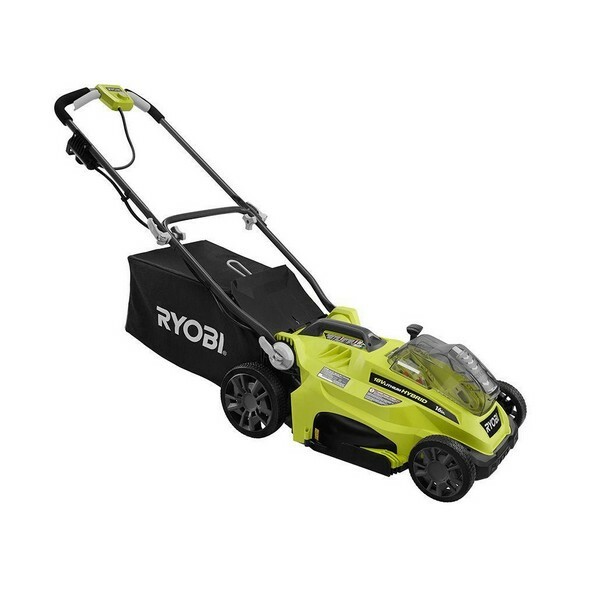 The Ryobi Cordless Lawn Mower is very versatile since it is capable of cutting tall grass. 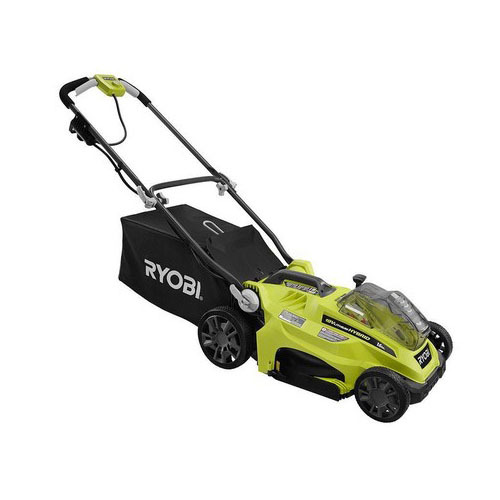 Additionally, it includes two batteries that can also work on other Ryobi cordless lawn equipment. The Earthwise 60420 Cordless Mower is powered by two lithium-ion batteries. It can be used for 55 minutes before recharging it again. Recharging time takes two hours, which is a standard among battery-powered lawn mowers. It has a battery indicator so that you will know the status of the remaining power. Pros: It includes two rechargeable batteries. Cons: Since this is not a self-propelled mower then it is difficult to maneuver with a full bag. The Earthwise Cordless Electric Mower is competent and vigorous too. However, it is hard to move around due to its heavy base. 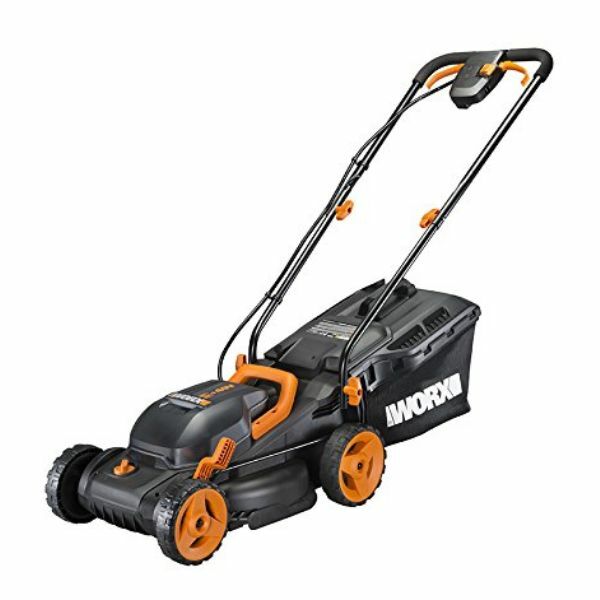 The WORX WG779 Cordless Lawn Mower has a broad cutting path of 14 inches. It also includes a single-lever adjustment where you can choose between 3 cutting heights. With a cordless lawn mower, you can enjoy minimal maintenance plus it won’t generate foul-smelling fumes. Since it is not noisy then you can mow any time of the day without disturbing your neighbors. You can have a neat professional trim without worrying about the fuel or doing any dirty oil changes. Pros: It comes with two batteries that can last up to 40 minutes. Cons: This mower does not include a self-propelled function. The WORX mower is perfect for those who desire to have a quiet mower which is capable of mowing bigger lawns. However, this is not perfect for those who are not comfortable in pushing a mower that is not self-propelled. This electric lawn mower can make your mowing experience fun. It does not expel any toxic gas fumes and does not require excessive maintenance. This is the best product that can efficiently trim the grass on your lawn. If you are doubtful in switching to electric mowers because they have limited power then this Black & Decker mower can convince you. Pros: This mower is self-propelled and with a single lever adjust where you can easily adjust the height of cut 1 1/2 inches to 4 inches with a cutting width of 20 inches. Cons: Unluckily, it weighs about 80 lbs because it uses a lead-acid battery. 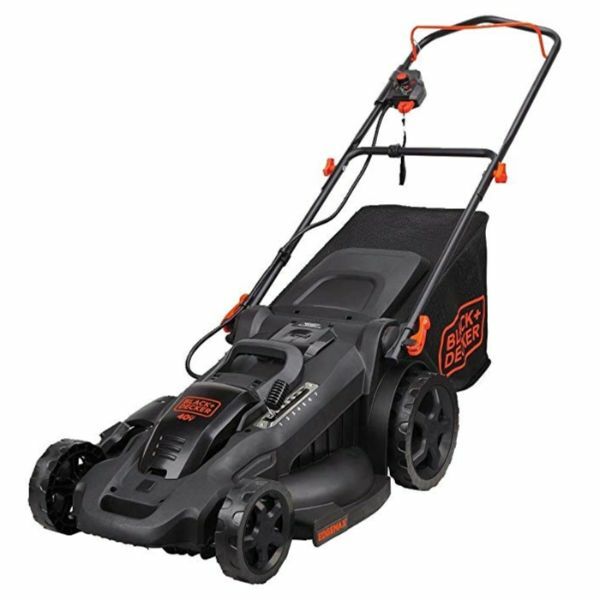 The Black & Decker CM2045 is a high-performance mower which is as good as a gas powered mower. It can make your mowing experience fun! Snow Joe is well-known for making electric snow blowers, now they have expanded and are now making cordless electric mowers and Sun Joe iON16LM 16-Inch Lawn Mower is one of them. It is lightweight and is capable of cutting your grass efficiently. Trimming your yard can be done in no time. 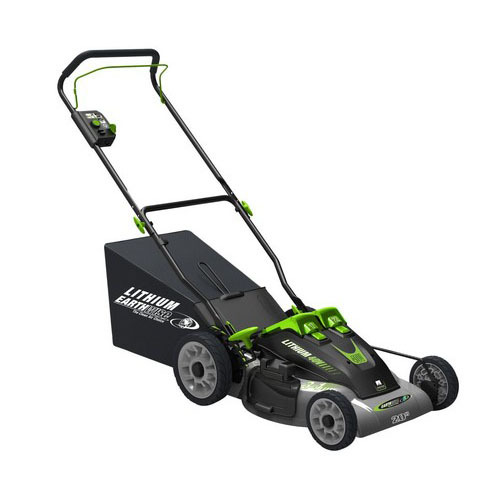 Pros: This mower is powered by a lithium-ion battery which can last about 40 minutes. Cons: It does not include a mulch or a side discharge. 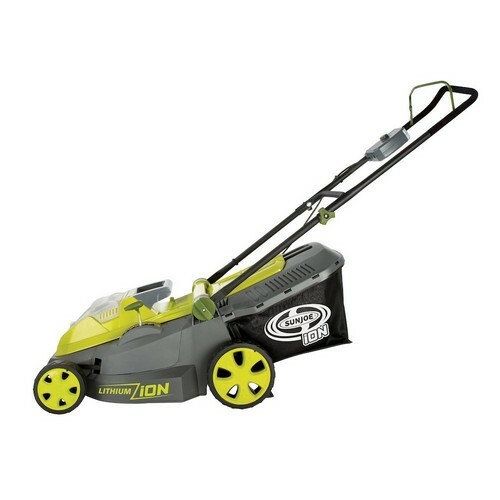 The Sun Joe iON16LM is a perfect choice if your lawn is small and don’t require a mower that is self-propelled. The Sun Joe MJ401E Electric Mower is the most affordable electric lawn mower. A smaller yard requires a lighter mower that is very easy to maneuver and this is what this product can do. It has a cutting deck of 14 inches and includes a grass catcher. The blades are made of steel. They are adequately sharp and can be adjusted in three positions. Pros: It has a removable bag at the rear part. It is covered by a two-year warranty. Cons: This is not appropriate for bigger lawns. If you are looking for a smaller lawn mower at a reasonable price then MJ401E is the best choice. 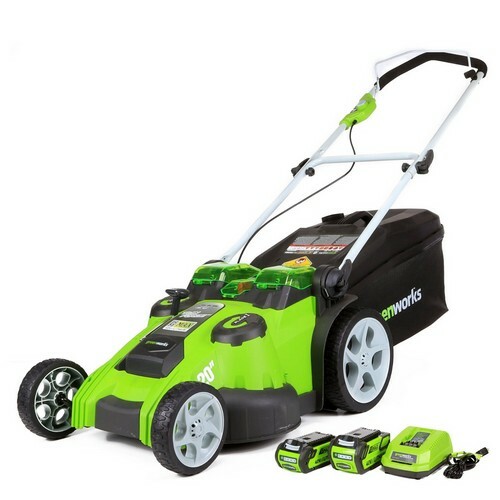 The Earthwise 60120 Cordless Electric Lawn Mower has a cutting width of 32 cm. This is a famous brand for electronics and household items. They are well-known for their high-quality products that can make your gardening tasks easier. This mower does not only looks good but also includes top-notch features. It has Ergoflex handles making it very comfortable to use. The cutting height can be adjusted. Pros: It has a big grass box with a 50L capacity so there’s no need for emptying it too often. Electric lawnmower or gas lawn mower? Which one should you buy? If you are planning to cut the grass in your lawn then these are your two major options. However, its variation goes beyond its cost and features. Both of these designs have their own distinct pros and cons that can influence your buying decision. Having sufficient knowledge of how each of these mowers works can help you in selecting the most efficient lawn mower that can help you in making your task easier. An electric mower is quieter compared to the gas mower. An electric mower is environment-friendly since it has less pollution discharge compared to the gas mower. An electric mower starts quickly with just a push of a button compared to a gas mower wherein you have to grip the handle. Gas mowers also require more maintenance than electric mowers. Electric mowers work well on small and flat areas, however, you have to stay near to an electric outlet. You also need to be careful with the wires so that it will not get caught up as you maneuver the mower. Gas mowers perform well on cutting tall and thick grass. Also, it can move easily and you don’t have any limit on your yard size. Electric mowers give you unlimited mowing time and do not need any gas. However, they are less powerful compared to gas mowers. An electric lawnmower is very useful in cutting the grass in your lawn to give it an even surface. 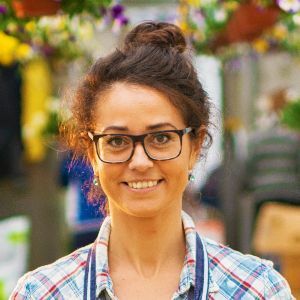 Your choice will depend on the size of your lawn as well as your budget. Trimming the grass using push mowers is also an excellent exercise. If you want to make your lawn look amazingly beautiful then why not add water features into it. If you really care for your lawn then you should avoid dumping rubbish into it. Which of these electric lawn mowers is perfect for your lawn? Let us know. You can also read our reviews for the 10 Best Air Compressor Reviews.